This is a modification that has been through extensive research, and development. 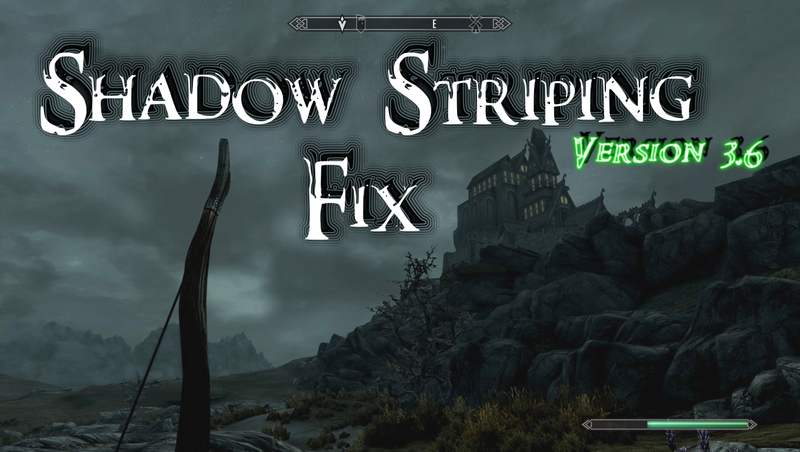 The purpose of this mod is to increase your framerate, smooth gameplay, remove striping, and improve shadow quality. For further increase in performance, please use "Skyrim: No Shadows and FPS Fix." then you must add it under the correct category as shown in the instructions. Remember to make back-up copies of your '.ini' files before making changes. game will change these settings, and the fix will no longer work. if done correctly. Make sure to have the '.ini' files set to 'read-only,' as to prevent changes caused by playing. A solution to the major frame rate loss caused by the shadows being rendered via our computer processors. -This will improve your shadows. Always give credit, and never upload this file anywhere else.